Televend is a total vending telemetry, sales and marketing solution which makes your vending business smart, interactive and manageable online. 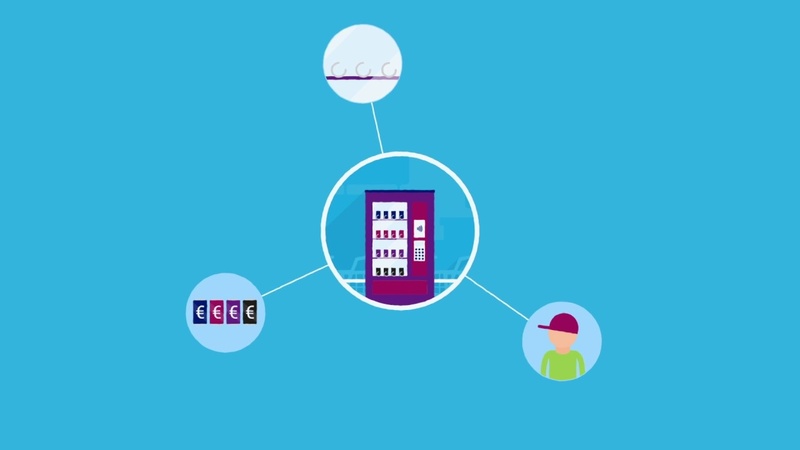 It comes as a turn key for vending including a small Televend box installed inside of the machine, web application for monitoring, reporting, route optimization and marketing, and mobile applications – for refill operators and for end customers. We are the ideal payment solution partner for a broad range of European companies. We service both small and large businesses – from international chains to independent stores – in various markets. As an innovative partner we are not confined by national borders. European cross-border trade is set to grow in the years ahead. We aim to help our customers benefit from the knowledge and expertise of our European employees. We are proud to process hundreds of millions of payments daily for our clients and contribute to a healthy business climate throughout Europe. No matter whether you are a major European supplier of parking facilities or the owner of a hairdressing salon: payments are at the heart of your operation. From processing day-to-day payments to creating a positive experience as customers shop, buy petrol or park their cars; we are always looking further ahead and are searching for innovations that will enable you to improve your customers’ experience. As a family business with roots in the Netherlands, we value strong relationships with our customers, employees and partners. This core value is key to our organisational culture, which is driven by reliability and ambition. We are future proof and committed to long-term relationships. In an effort to improve business results and generate greater customer loyalty, we continue to innovate in close cooperation with our customers. With decades of experience, we offer the expertise you would expect from a trusted partner. We are pleased to offer an extensive range of products and services to help support your business– from stand-alone payment solutions to a fully integrated Omni-channel customer experience, including payment, transaction processing and loyalty programs. We work together with customers, partners and suppliers to find the most suitable payment solution – one that reflects your specific ambitions and needs. Our solutions ensure an optimal shopping experience and seamlessly reflect consumer purchasing and payment behaviour, regardless of time, place or payment method. We offer this Omni-channel experience in collaboration with various partners throughout Europe.